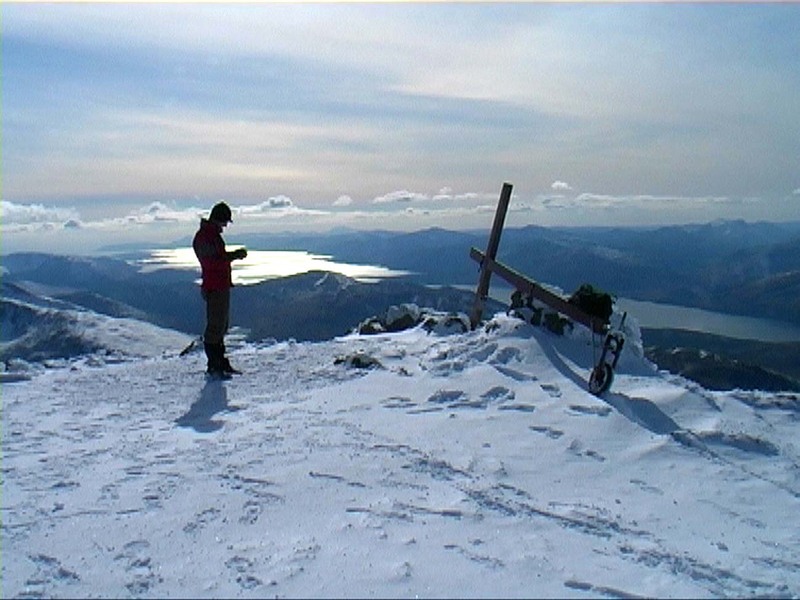 Threesixteen’s first short christian film was titled “Your Will” and tells the story of an Easter ascent of Ben Nevis by Counties evangelist Clive Cornish. During this gruelling climb Clive carried a large wooden cross over ice coated rocks and through soft snow. 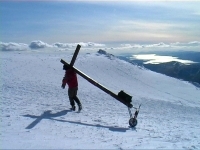 Clive’s cross measures 12ftx6ft and weighs 50lb. 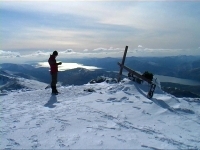 View the trailer or download the film to join Clive as he climbs the highest mountain in Great Britain. Sound track – written and played by Clive Cornish. 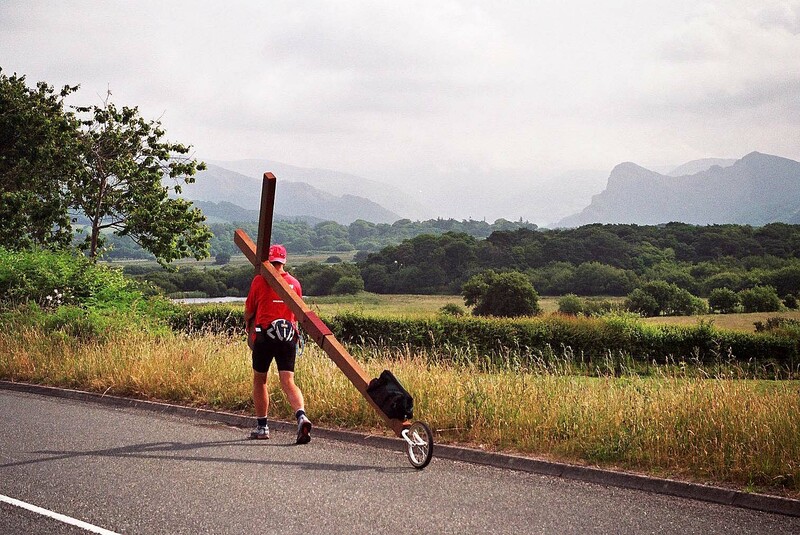 Counties evangelist Clive Cornish carries his cross in Snowdonia, North Wales. Bird Rock near Barmouth can be seen behind. 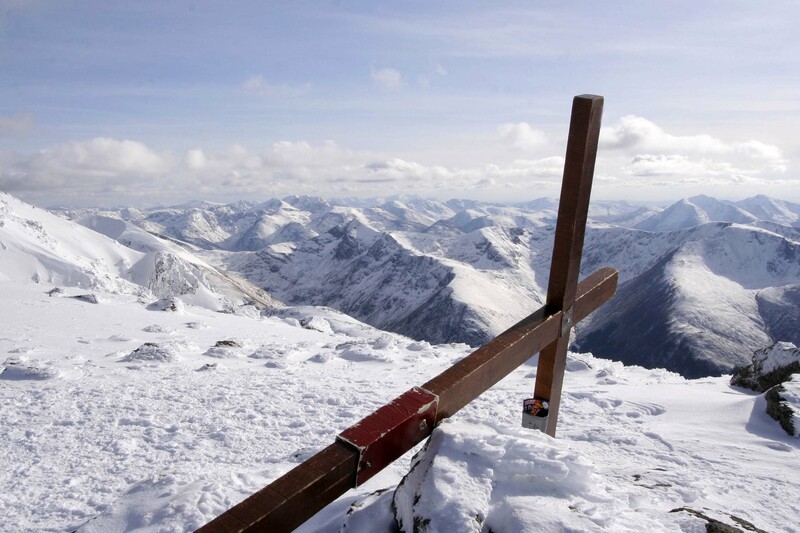 In a strenuous and exhausting endeavour Clive recently walked from North Wales to South Wales climbing three high and challenging mountains – Snowdon, Cader Idris and Pen y Fan – with his cross. A film (approx. 1hr) which describes the difficulties and emotions of this demanding journey is now being edited and will be available in the near future. Please visit again soon to purchase your DVD or download a copy. New projects are being prepared and new films which convey the excitement and adventure of the Christian life are being considered. Please visit the projects page or call again soon for further details and progress updates. For God so loved the world that he gave his one and only son so whoever believes shall not perish but have eternal life. Please e-mail Threesixteen to discuss its projects, products, presentations and how we may work together and support each other.